Hydrogen combines with oxygen to produce water, and releases a n immense amount of energy in this process. Therefore, it is now being considered as an alternative source of fuel. It is also arguably considered a clean source of energy, as its combustion does not produce any green-house gas or hazardous material. Fuel cells (or batteries) are used to generate electricity from hydrogen. While smaller batteries are used for running electric cars, larger cells find application in electrification of remote areas with no power lines. Although having high electric generation efficiencies, these cells are however quite expensive and as a result are not viable for large setups such as power plants. Still, they are used in emergency or critical situations such as hospitals. Additionally, smaller portable hydrogen fuel cells are also used in laptops, mobile devices and military applications. Hydrogen as a fuel for driving vehicles is becoming popular. In US alone, there are 200 to 300 different variants of hydrogen powered automobiles, although hybrid variants (which can switch between using hydrogen and fossil fuel as a source of energy) are more practical to use currently. Very few of the hydrogen powered vehicles however directly use hydrogen as a fuel but are instead powered by electric motors and need to store hydrogen and subsequently convert it into electricity. Hydrogen powered vehicles also pose a re-fuelling challenge, as only a limited number of them are presently operational. It is a peculiar problem to have, as fewer stations means lesser vehicles running on hydrogen fuel given their unpopularity, which in turn makes such stations even more unviable to operate financially. This therefore is a key issue that needs to be addressed. Even though using hydrogen as an alternative fuel appears to be environmentally friendly on first look (as burning it produces no pollutants and green house-gases), a closer analysis of the hydrogen fuel lifecycle suggests otherwise. 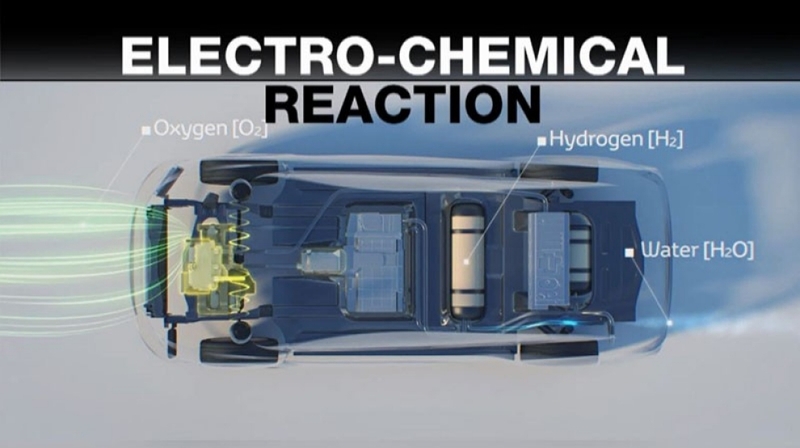 Since hydrogen does not occur naturally, it has to be extracted from electrolysis of water or oxidising methane, which are respectively high energy consuming processes or produce high amounts of carbon-di-oxide. Further, conservation of energy principle tells us that subsequent use of hydrogen fuel can only produce as much energy as has been used in its production. Further, since hydrogen gas has low density, large energy is also wasted in liquefying it. Therefore, in totality, it is not a green a source of energy presently. However, since hydrogen burns to produce water that in turn is used to produce hydrogen, there are theoretical possibilities that with better designed closed-loop efficient systems in the near future, viability of using of hydrogen as fuel can be greatly enhanced. Further, innovative ways of hydrogen storage (such as reacting it with xenon to produce a solid) are also being devised. This blog aims at discussing various topics which in some way are related to science. I think I have sufficiently talked about how hydrogen can be used as a fuel and the viability of the concept. Having said that, you mite want to read more on this.